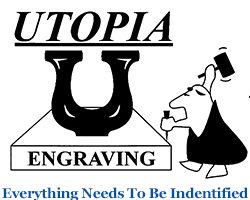 Personalize Your Vehicle with an Engraved Vanity License Plate from Utopia Engraving. A highly reflective address sign that mounts on your mailbox, mailbox stand, house, or curb. 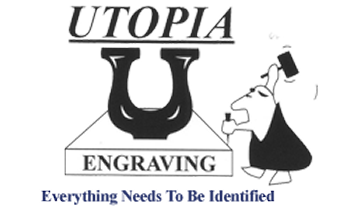 2" x 8" or 2" x 10" Engraved Deskplate w/ Aluminum Holder. Multiple styles and colors are available to choose from!